In January 2017, Barack Obama and his family will be moving out of the White House as and transitioning to civilian life. Unlike most presidents taking their leave of office, though, Obama will be remaining in Washington, D.C., following the end of his term. Why is Obama staying in D.C.? The reason will only keep him there temporarily. CNN reported that Obama plans to stick around the Hill for the sake of his youngest daughter, Sasha. "We're going to have to stay a couple of years in D.C. probably so Sasha can finish," he said earlier this year. "Transferring someone in the middle of high school? Tough." Sasha is a sophomore in high school, so we can expect the Obamas to be in the nation's capitol until at least the summer of 2019. Sasha attends Sidwell Friends, a school that has seen many of the country's elite's children as students over the years. Malia, Sasha's older sister, also attended the school, graduating this year. Aside from the temporary nature of the reason he gave for staying in Washington D.C., the fact that the Obamas are leasing rather than buying a house also suggests that another move is in the not-so-far future. The home they are leasing is in the Kalorama neighborhood, and contains nine bedrooms and eight-and-a-half bathrooms, CNN reported. Swanky digs for sure, but not likely enough to keep them there; according to New York Daily News, the Obamas have kept their home in Chicago, where Obama established himself as a community organizer before running for Senate, and the city where he wants his presidential library built. Though we can't expect the president to stay in Washington D.C. for the long haul, we shouldn't be surprised if we see him remaining active in political issues about which he is passionate. Though no concrete plans were discussed in detail, Obama said in September that climate change advocacy would be in his future. 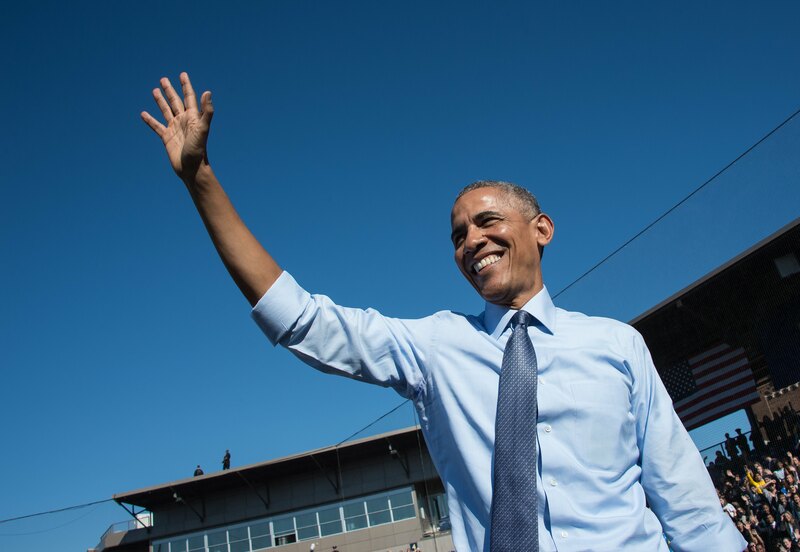 "One of the things that I probably can do best is — in addition to shining a spotlight — helping citizens who are concerned about this to mobilize and shape political strategies so that on a bipartisan basis, we can be more effective in dealing with these challenges," Obama said. Thus, even though President Obama will be leaving the White House, it's dubious that he will be leaving the national — or, for that matter, international — stage after Jan. 20.